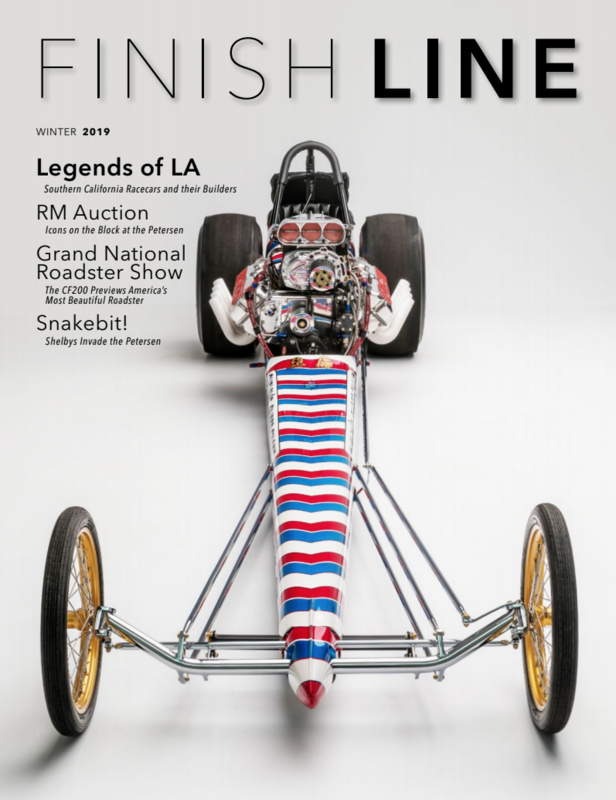 Finish Line is the official publication of the Checkered Flag 200 Membership at the Petersen Automotive Museum. 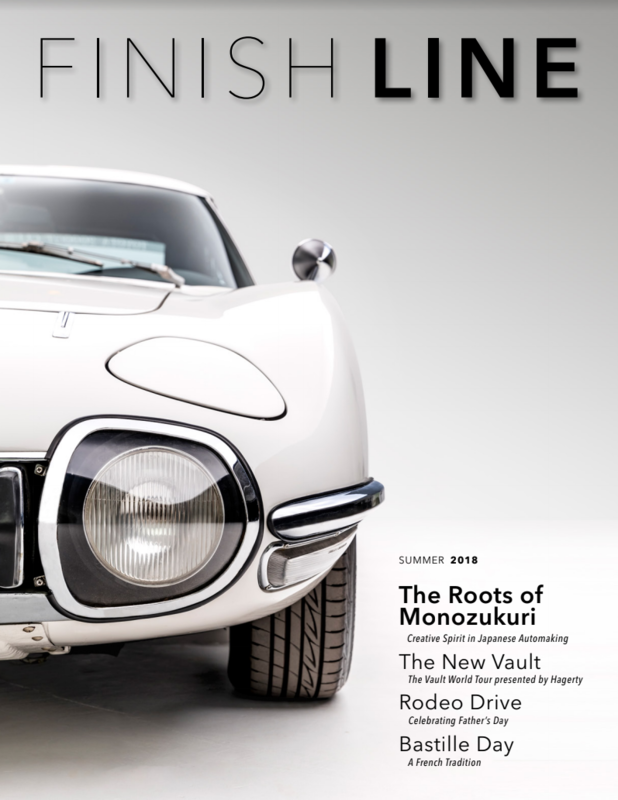 Published quarterly, Finish Line is a high-end, luxury publication which highlights the people, events, and special interests of the Petersen Automotive Museum and Checkered Flag community. 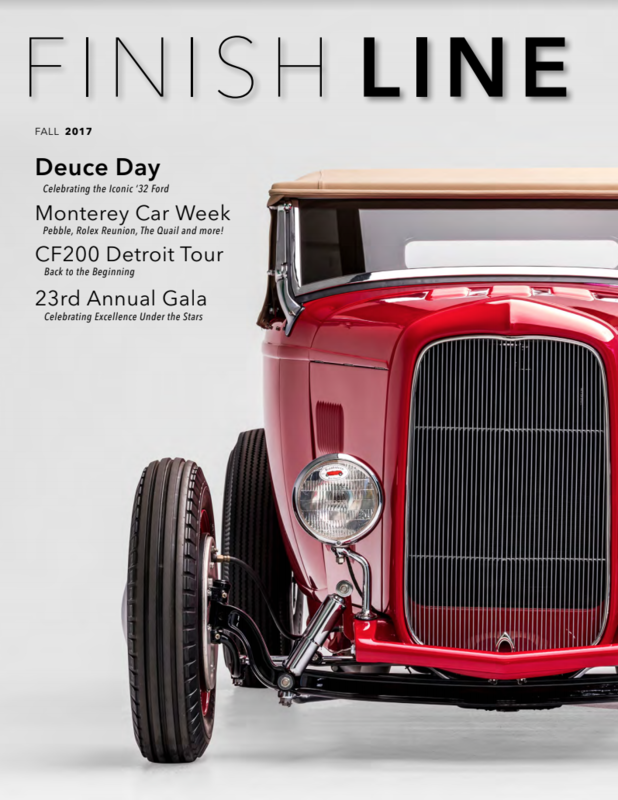 The magazine is direct-mailed to every active Checkered Flag member, a group comprised of some of the most active automotive enthusiasts, collectors, and industry professionals. All Petersen members also receive a downloadable version of Finish Line. Tell our members about your business or upcoming events with a one-time ad placement or discounted annual ad placement in the magazine (4 issues pre-paid). To begin advertising in Finish Line, please contact Danielle Ares at dares@petersen.org to find out more information.